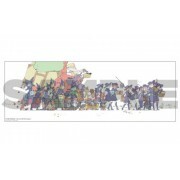 The 5th volume of BULLET is now available on TRIGGER online! Please enjoy a series of interesting and creative interpretation of this year’s theme by our animators! 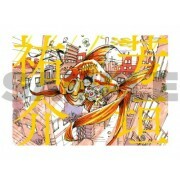 As usual the revenue for BULLET will be donated to “Hatachi Fund” as charity. The Hatachi Fund is a Japanese financial body that aims to provide ongoing support for education and independence for children living in the stricken area so that they can grow into independent twenty-year-old adults who will in turn support society at large (twenty-years-old, hatachi, is the age of maturity in Japan). Is there anyone who doesn’t know this yellow and black cross? A collaboration item made with the Maruman you know and love! The main visual posters from animator Yusuke Yoshigaki’s original exhibition, Yusuke Yoshigaki: The Art of YUSUKE YOSHIGAKI. 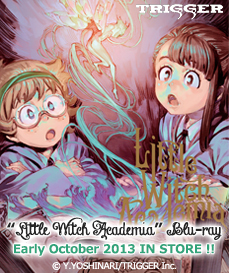 In addition to 28 illustrations by the animator Yusuke Yoshigaki, which were used in the ending credits of the TV series Little Witch Academia, this deluxe edition in the format of a picture book also includes 6 new works drawn expressly for this book. 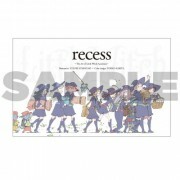 Catch a glimpse of the daily lives of Akko and her friends! This product is available for pre-order. It will begin shipping in the middle of December on a first-come first-served basis. Pre-orders will be accepted until 5 p.m. on December 20th. This art book, Yusuke Yoshigaki: The Art of YUSUKE YOSHIGAKI, collects the original exhibition works of the animator Yusuke Yoshigaki. This is a complete volume in which you can experience the atmosphere of the exhibition. It is an extraordinary, must-see book of 358 pages in total and over 2 cm in thickness! Selling out immediately at Comic Market 91 due to popular demand, “TRIGGER GIRLS ART BOOK” is returning exclusively to TRIGGER online store! 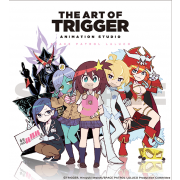 Featuring illustrations from TRIGGER’s homepage, the art book consists of a rich line up of artists from both in-house and outside the studio! 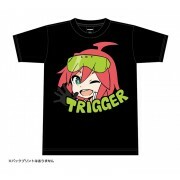 This book is without a doubt a must have for any TRIGGER fan. 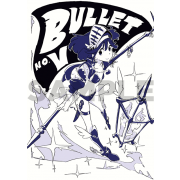 Previously sold exclusively at Anime EXPO 2016, KILL la KILL RAW IN-BETWEEN FRAME package is now available for purchase on TRIGGER online! What is a IN-BETWEEN FRAME? 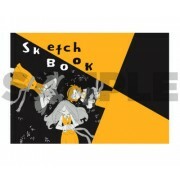 An in-between frame is a drawing done by the animators to be used in the production of an animation series. A sequence of these frame is what compiles the animation, and what we ultimately see on the screen! So what makes this package Raw? The package contains actual frames that were used in the production of KILL la KILL! Yes! These frames are the real thing! Actual frames from the series! We believe the unaltered state of the in-betweens would be best described as "Raw." 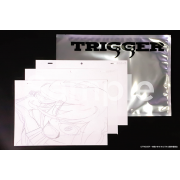 The package consists of 3 random in-betweens carefully picked by TRIGGER's staff. Due to the content of the material, the in-betweens may be slightly damaged. Please understand that these blemishes are commodity characteristics. 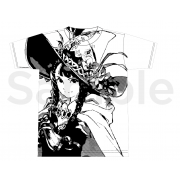 By popular demand, our Yoh Yoshinari illustrated T-shirt is now available at the TRIGGER Online Shop! Featuring an all-new design that completely covers the exterior, each and every shirt is silkscreened by hand! Supplies are limited so be sure to act fast! *As this shirt is made by hand each item will slightly differ, including the way ink pools at the hems. An indulgent silk-screen print with a full 10 different colors! Check out that huge design! And an original TRIGGER name tag is sewn into the collar! * Due to manufacturing constraints, size and colors may slightly differ. We hope for your understanding.